DAVID LE/Staff photo. 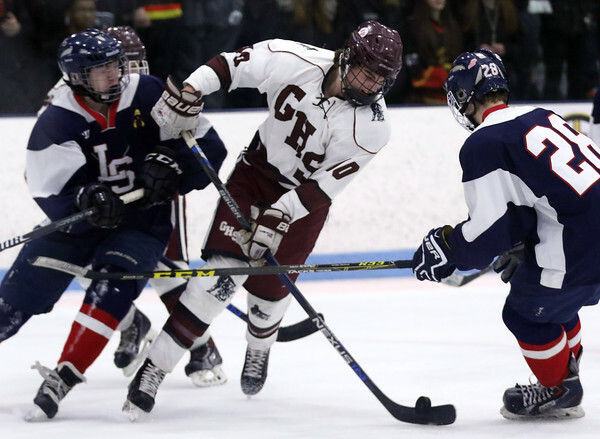 Gloucester forward Ethan Brennan (10) rips a shot on net while getting sandwiched by two Lincoln-Sudbury players. 3/8/16.